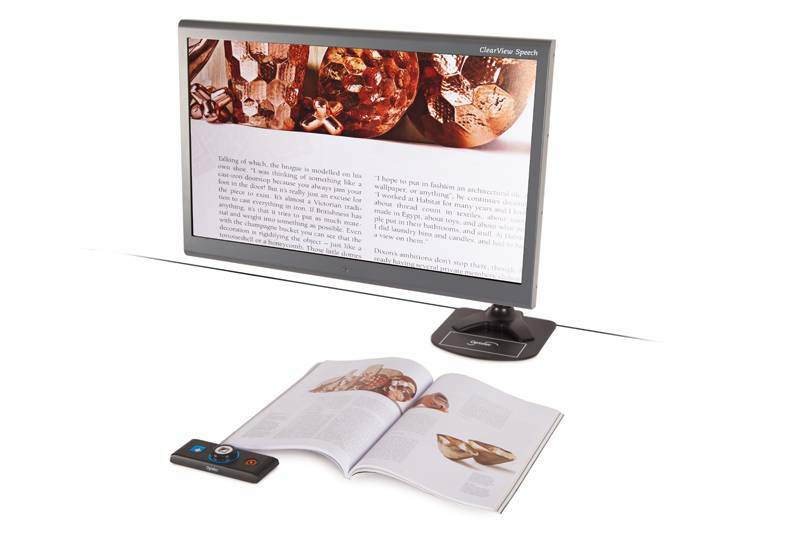 Are you searching for a High Definition magnifier in a modern and stylish design that makes reading comfortable again? 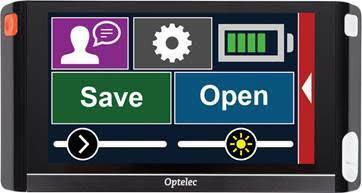 The Optelec ClearView C HD 24 provides incredible image quality with simple to use controls. 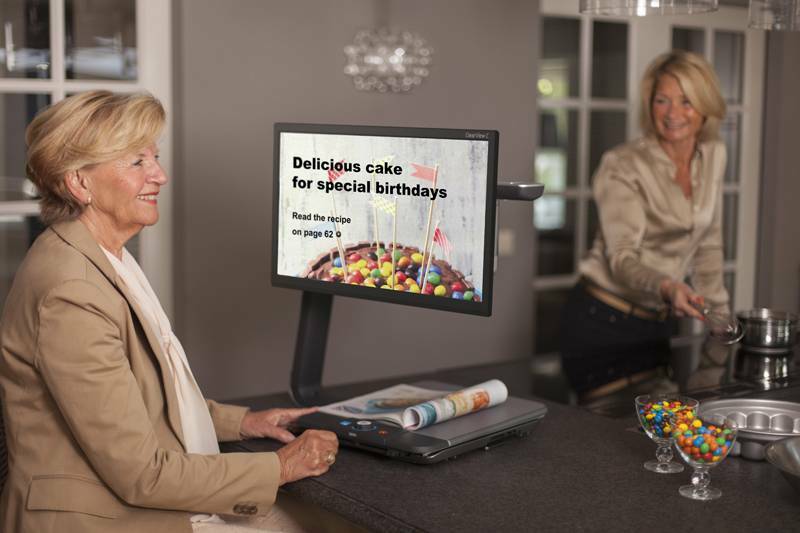 The new Optelec ClearView C HD 24 is a modern desktop video magnifier that is designed to improve your reading experience. 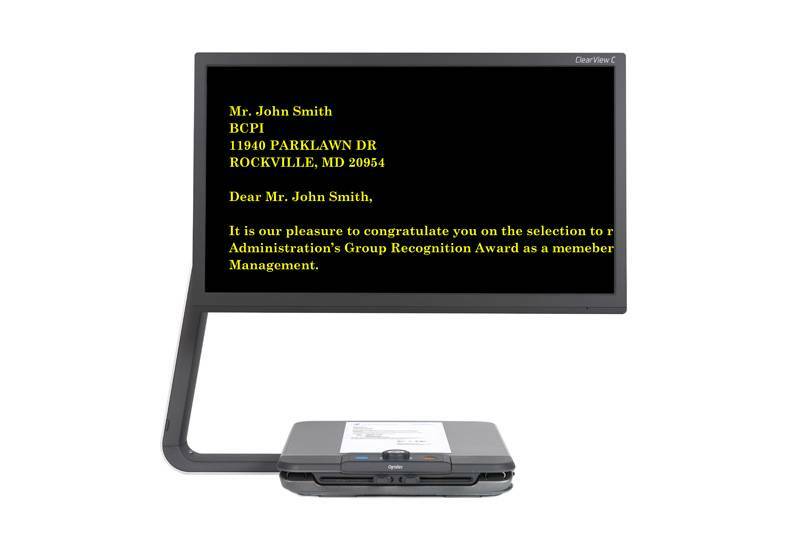 When we started to develop Optelec ClearView C HD 24 desktop video magnifier, we wanted to eliminate all of the difficulties users experienced. 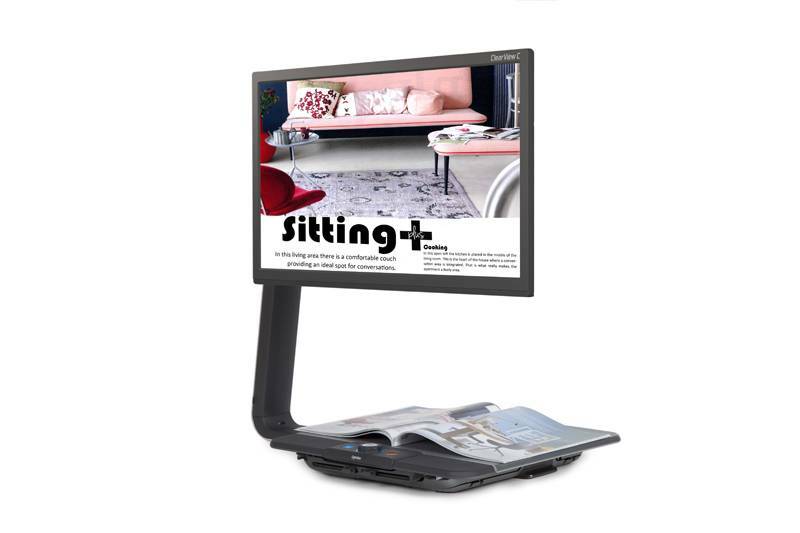 After extensive research involving our clients, we came up with a completely new design. 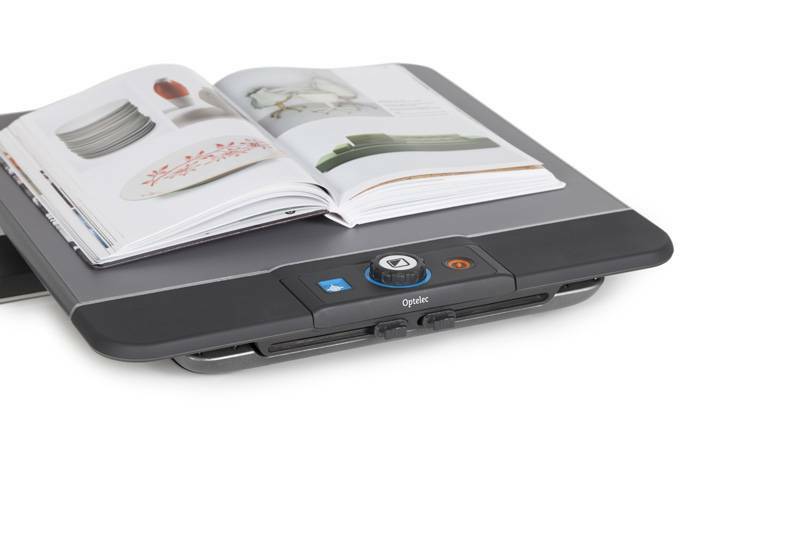 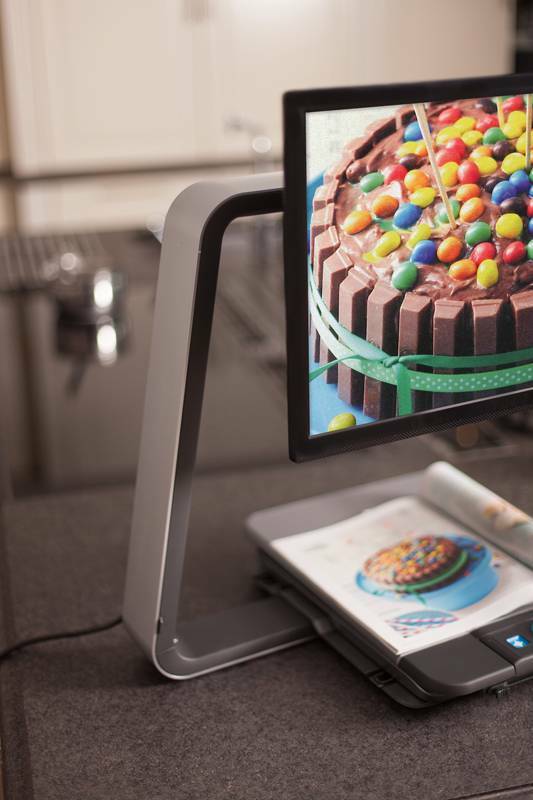 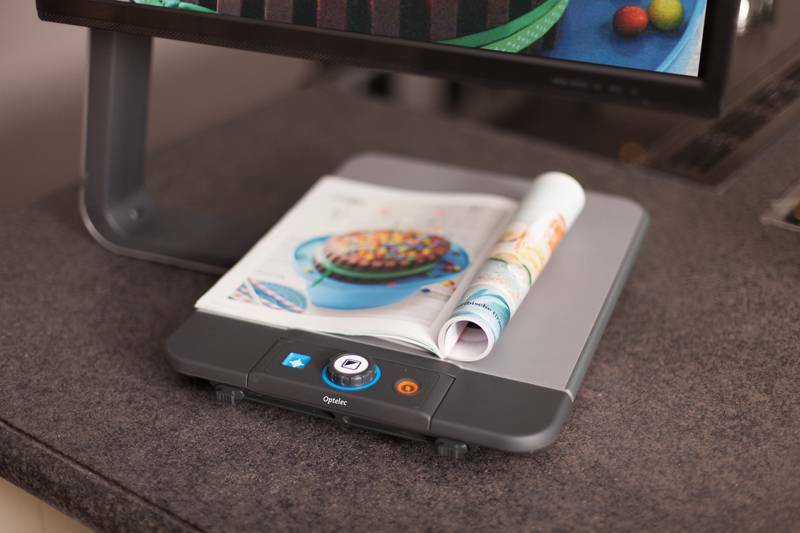 Thanks to the innovative design of the Optelec ClearView C HD 24 you naturally start to read at the top of a page, and then continue all the way down till you reach the bottom of the page. 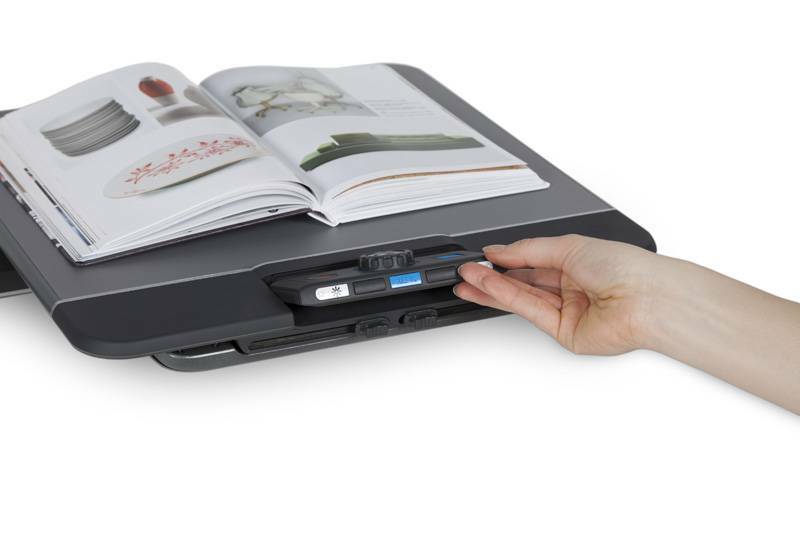 You will no longer pull the reading table toward your body when you navigate to the top of the document. 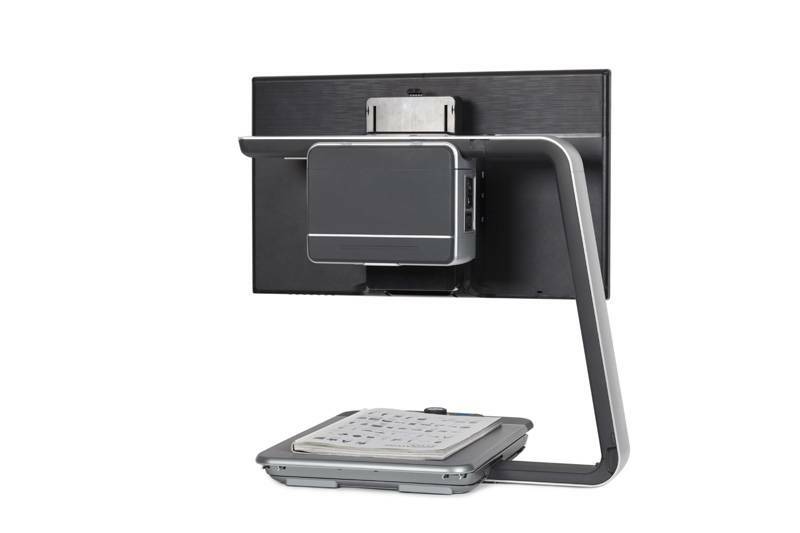 This is unique among desktop video magnifiers.